Trading in forex involves substantial risks, including possible and complete loss of funds and is not suitable for all individuals. Clients should make an independent judgment as to whether trading is appropriate for them in the light of their financial condition, investment experience, risk tolerance and other factors. Fidelis Capital Markets (“Fidelis”) does not accept account registrations from residents of the United States of America. 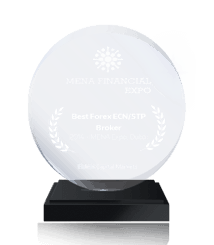 Fidelis provides forex execution STP (Straight Through Processing). 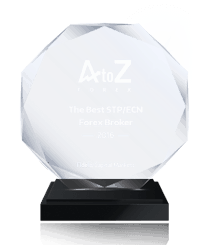 As the forex market trades OTC (over-the-counter), an STP environment allows traders to place their orders directly into the marketplace and taking advantage of multiple Tier 1 liquidity providers. Fidelis uses the latest FIX (Financial Information exchange) protocol specifications to provide direct and transparent execution with real trading conditions to all market participants. With our STP model, customers receive direct access to the best bid and offer available from our Tier 1 banking partners. With Fidelis your orders are executed under 100 sub mili seconds. Fidelis aims to provide clients with the best execution available and to have all orders filled at the requested price. However, there are times when, due to an increase in volatility or volume, orders may be subject to slippage. Slippage most commonly occurs during fundamental news events or periods of limited liquidity. During periods such as these, your order type, quantity demanded, and specific order instructions can have an impact on the execution of your order. The volatility in the market may create conditions where orders are difficult to execute. For instance, the price you receive in the execution of your order might be many pips away from the selected or quoted price due to market movement. In this scenario, you may be looking to execute at a certain price but in a split second, for example, the market may have moved significantly away from that price. Your order would then be filled at the next available price for that specific order. Similarly, given Fidelis’ model for forex trade execution, sufficient liquidity must exist to execute all trades at any given price. Any opinions, news, research, analyses, prices, or other information contained on this website is provided as general market commentary, and does not constitute investment advice or financial advice. If it is determined or held that it is financial advice then it is general only. By using this website, you acknowledge and agree that the information set out on this website has been provided without taking your financial situation, objectives or goals into account. Fidelis will not accept liability for any loss or damage (whether arising under contract or tort (including negligence) or otherwise), including without limitation any loss of profit, which may arise directly or indirectly from use of or reliance on such information. There are risks associated with utilizing an internet-based deal-execution trading system including, but not limited to, the failure of hardware, software, and internet connection. Since Fidelis does not control signal power, its reception or routing via the internet, configuration of your equipment or reliability of its connection, we cannot be responsible for communication failures, distortions or delays when trading via the internet. To try and maximize your enjoyment and use of Fidelis’ service, Fidelis employs backup systems and contingency plans to minimize the possibility of system disruption or failure. A delay in execution may occur for various reasons, such as technical issues with the trader’s internet connection to Fidelis’ STP, a delay in order confirmation from a liquidity provider, or a lack of available liquidity for the currency pair that the trader is attempting to trade. Due to inherent volatility in the markets, it is imperative that traders have a working and reliable internet connection. There are circumstances when the trader’s personal internet connection may not be maintaining a constant connection with the Fidelis servers due to a lack of signal strength from a wireless or dialup connection. Please note that Fidelis does not provide a margin call warning to clients prior to liquidating open positions. Margin calls are triggered when your usable margin reaches zero. This occurs when your floating losses reduce your account equity to a level that is less than or equal to your margin requirement. Therefore, the result of any margin call is subsequent liquidation unless otherwise specified. Margin call is generated by your trading platform when your account value is equal to or less than a certain percentage of the Minimum Margin Requirement. We advise all clients and traders to strictly adhere to margin requirements when trading. Minimum Margin Requirements on Open Positions must be maintained by the customer at all times. Any or all open positions are subject to liquidation by Fidelis should the Minimum Margin Requirement fail to be maintained. Margin requirements may change at any time. Fidelis will do its best to inform the client about any projected changes by email and via the trading platform’s message system at least a week before changes go into effect. All limit/stop orders such as stop loss/buy limit/buy stop/sell limit are executed as market orders. It’s not guaranteed that your limit/stop orders will execute at the price set by you. 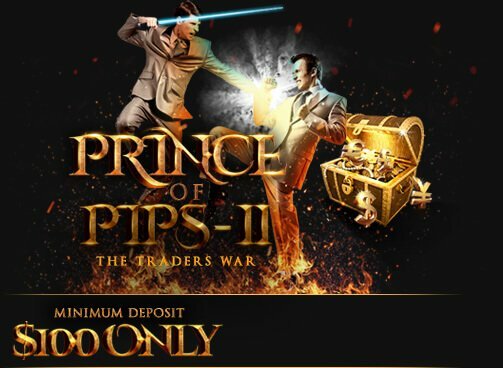 Though Fidelis ensures that all orders are executed at your quoted price but due to increased volatility in the market, it is possible that you may experience a slippage of few pips under mili-sub seconds. In such volatile conditions Fidelis still executes your order in less than 200 mili sub seconds. During periods of high volume, hanging orders may occur. This is a condition where an order is in the process of executing but execution has not yet been confirmed. The order will be highlighted in red, and the “status” column will indicate “executed” or “processing,” in the “orders” window. In these instances, the order is in the process of being executed, but is pending until Fidelis receives confirmation from the liquidity provider that the quoted prices is still available. During periods of heavy trading volume, it is possible that a queue of orders will form. That increase in incoming orders may sometimes create conditions where there is a delay from the liquidity providers in confirming certain orders. Greyed out pricing is a condition that occurs when forex liquidity providers that supply pricing to Fidelis are not actively making a market for particular currency pairs and liquidity therefore decreases. Fidelis does not intentionally “grey out” prices; however, at times, a severe increase in the difference of the spread may occur due to a loss of connectivity with a liquidity provider or due to an announcement that has a dramatic effect on the market that limits liquidity. Such greying out of prices or increased spreads may result in margin calls on a client’s account. The ability to hedge allows a trader to hold both buy and sell positions in the same currency pair simultaneously. Traders have the ability to enter the market without choosing a particular direction for a currency pair. Although hedging may mitigate or limit future losses it does not prevent the account from being subjected to further losses altogether. In the forex market a trader is able to fully hedge by quantity but not by price. This is because of the difference between the buy and sell prices, or the spread. At Fidelis, while a trader is fully hedged the margin requirement is zero, and when one leg of the hedged position is closed the remaining open exposure will be subject to the normal margin requirement for the specified pair. This can be monitored at all times in the simple dealing rates window. While the ability to hedge is an appealing feature, traders should be aware of the following factors that may affect hedged positions. By accessing this website, you agree that all matters related to your access to, or use of, this website shall be governed by the statutes and laws of the Republic of Cyprus, without regard to the conflicts of laws principles thereof. Fidelis makes no representation that materials on this website are appropriate or available for use in other locations, and accessing them from territories where their content is illegal is prohibited. Those who choose to access this site from other locations do so at their own initiative and are responsible for compliance with applicable local laws. Fidelis provide leverage up-to 200:1* on its forex trading accounts. Our clients and prospective clients should remember that it is just as easy to lose money through the click of a mouse as it is to make it. Most people who jump into trading without a serious plan, lose money. For most individuals, the forex market should be a place to invest, not actively trade. The technology available at Fidelis is in many respects similar to that which is used by professional traders. Retail investors should exercise caution before attempting to imitate the style of trading and assuming the risks undertaken by market professionals. You should also fully understand the risks associated with using a margin account. When you buy currencies on margin, you are borrowing money and pledging the currency in your account as collateral. In volatile markets, investors who have put up an initial margin payment (i.e., borrowed funds) for a currency may find themselves being required to provide additional cash (maintenance margin) if the price of the currency subsequently falls (a margin call). A brokerage firm has the right without notice to sell currencies (i.e., the collateral) chosen by the brokerage firm from the investor’s account and charge any loss to the customer, possibly causing a loss greater than the initial investment. The brokerage firm can increase margin requirements at any time and is not required to grant an extension on any margin call. It is important for our clients to understand these concepts before they decide to trade on margin. Along with our technology comes your responsibility to have a plan before you start trading. By enrolling in Fidelis Online Transfer Account Authorization, you establish a standing authorization to request online electronic funds transfers between your Fidelis accounts and your accounts, as indicated below. By sending Fidelis a wire transfer request (whether by telephone, electronically or in writing), you authorize Fidelis to act on your behalf, to initiate the wire transfer. On receipt of a wire transfer request by Fidelis, Fidelis will transmit payment instructions to the applicable bank. If a wire transfer request is received after the relevant cut off time, the client’s request may be treated as if it were received on the next business day. Fidelis also may reject wire transfer requests. You will be notified of any such rejection by telephone, electronically or in writing. Fidelis is not liable for any interest for the period before you receive the notice of rejection. It is your responsibility to ensure that your instructions are accurate before requesting Fidelis to initiate a wire transfer. A wire transfer request cannot be amended or cancelled after Fidelis receives it. Fidelis may in its sole discretion attempt to abide by a subsequent request for a change, but it is not obligated to do so. You agree to indemnify and hold Fidelis and its affiliates blameless from any losses arising out of or relating to an attempt to amend or cancel a wire transfer request. In addition, if you request a stop-payment on any cheque issued in response to a cheque disbursement request, you understand that you may not have access to the funds for at least 60 (sixty) days. If your wire transfer request involves a currency other than your base account currency, your funds will be exchanged for such currency at the current rate of exchange according to Fidelis’ standard business procedures. You are aware that currency exchange rates fluctuate over time and you accept the risks of such fluctuation between the time you send a wire transfer request and the time the wire transfer is final. If you arrange for a wire transfer to be directed to your Account, you are responsible for ensuring that such wire is initiated properly, addressed properly to Fidelis’ bank account and bears appropriate wire instructions in exactly the form required by Fidelis for you and your account’s identification. You understand that any erroneous, mismatched or incomplete identifying information on an incoming wire transfer may result in such wire being rejected, lost, posted to an incorrect account or returned to the originating bank without notice to you and you agree to indemnify and hold Fidelis and its affiliates harmless from any Losses arising out of or relating to any erroneous, mismatched or incomplete identifying information on an incoming wire. You will also have other options of withdrawing funds such as credit/debit card available on Fidelis website under your client terminal. In order to open a trading account with Fidelis, applicants must provide a valid form of government-issued identification (Driver’s License, Country/State ID, or Passport), a proof of residence. In addition, traders must submit a completed account application. In order to open a Live trading account with Fidelis, you must submit documents to support the account. The documents required are a proof of identity and a proof of residence. The withdrawal process at Fidelis is a strict and secure process which requires certain guidelines in order for the funds to be sent back to their original source and beneficiary. All withdrawal forms are submitted to Fidelis accounts department for processing. Once approved, the withdrawal will take UP to 48 hours, except for bank wires which may take up to 5 working days. Funds withdrawn will be returned to the original source of deposit, be it bank, credit or debit card, or e-wallet payment method. In the case that the withdrawal amount is in excess of the amount originally deposited, then the excess amount will be returned to the client by bank transfer. In the event that a withdrawal is flagged for suspicious activity, the withdrawal is placed on hold, pending further investigation by the Compliance department. Prior to opening an account, Fidelis shall document the identity, nature of business, income, source of assets if applicable, and investment objectives of each prospective customer. 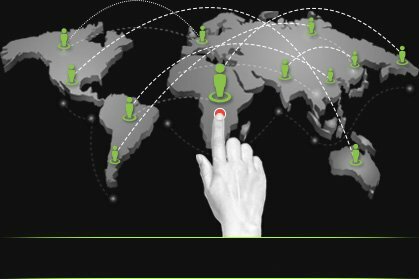 While we welcome clients from all over the globe, FATF restrictions along with our company policies prohibit Fidelis from opening accounts originated from certain countries which will be notified from time to time.